To heal the planet and be healed as well, we can lovingly extend our energy selves out to the mountains and rivers and intimately bond with Earth. Gestures and vision can activate our hearts to return us to a healthy, caring relationship with land we live on. The character and essence of some of Earth’s most powerful features is explored and understood through exercises given to connect us with those places. As we project our love and healing energy there, we help the Earth to heal from man’s destruction of the planet and its atmosphere. Dozens of photographs, maps, and drawings assist the process in twenty-five chapters, which cover Earth’s more critical locations. Submitted by U.S. on Wed, 10/29/2008 - 19:41. A very intriguing book ... Most engaging are the meditations that one can do in hopes of healing the earth I tried a few of the exercises and got some interesting results. Submitted by Tatyana Iliskovic: Sydney Australia on Thu, 05/26/2005 - 12:39. This is noyt the rating of the book. The reason for the contact is spiritual material that was reopen through my human system and which might be something that Mr Robert Spiro is searching as alive confirmation of his work.My tusk on Earth is to explain on very simple and obvious way to humanity how to shift them selves from the egotistic to the universal self identification via their intelect. It is very easy and obvious what I am able to explain . This secret is hidden for who know how many thousand years just in front of our seldelusioned nouses. If we do not know that fact about our selves and do not incorporate it in our everuday lives, we will never rich the top consciousness level while in this life. Also The universe opened through my awareness the spiritual skill by which I am able to address and clean undesirable mental emotional energies-energy frequencies from ones system and by that energy processing help the speading up of the consciosness liberation of treated person. Submitted by Steve McCardell: Ann Arbor, MI on Fri, 08/17/2001 - 12:35. This is a challenging title, and I mean that in the best way. 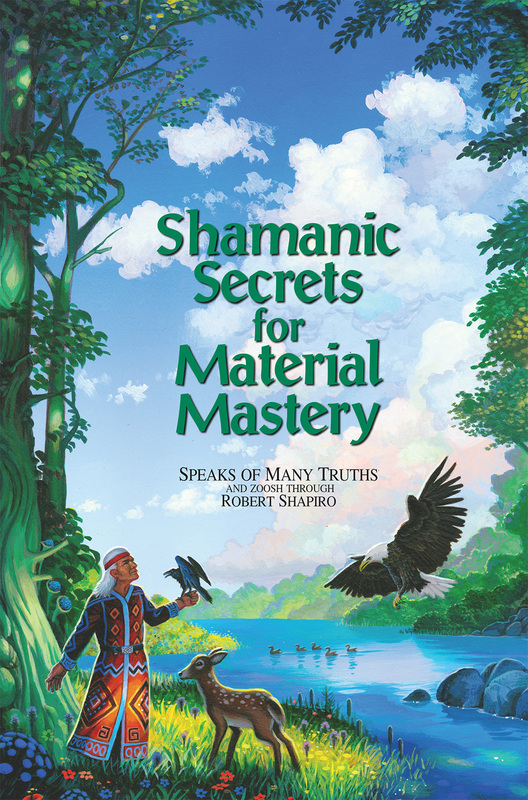 While we have so many channeled books available—-mostly ones repeating the same general New Age information--Shapiro's work constantly offers new ideas in explicit detail, and in a way that fits concepts together. Now, reading as much as I do, I have to be discriminating, and I mean no exception with this book. This is also why I'm excited to mention this book as a challenge. The ideas offered are so particular that they can hardly help but fascinate the reader -- when the entire race of humans is intrigued by certain features of the earth, how can we not sit enthralled as we learn of possible meanings to Sedona's red rocks, or the Amazon River, or a "land in reserve" for the future? What's more, Shapiro does not leave these as mere curiosities about the earth, but shows the connection between each of these areas and human beings.